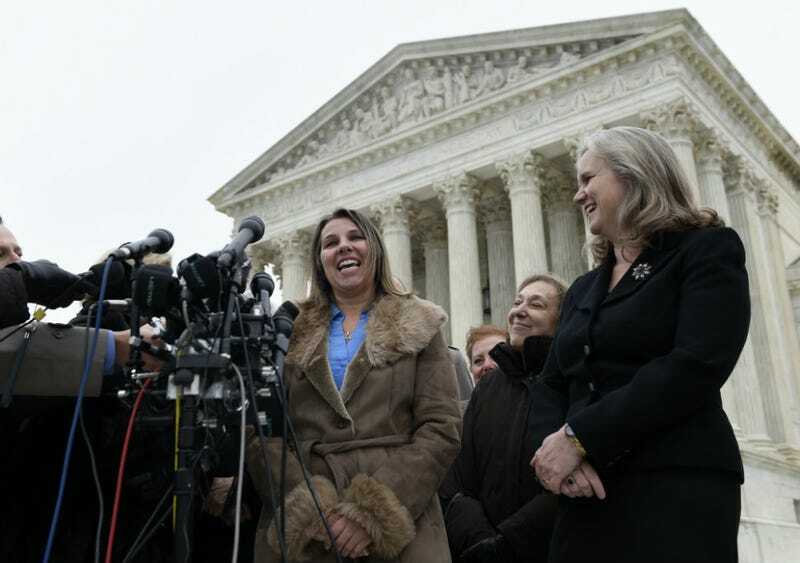 The Supreme Court has given former UPS driver Peggy Young another chance to prove in district court that the company discriminated against her while she was pregnant. Young was placed on unpaid leave for most of her pregnancy after telling her supervisor her doctor advised her not to lift anything over 20 pounds. UPS announced in October that they'd changed their policies on pregnant workers, saying in a memo that they'll now be "prospectively be eligible for light-duty assignments." Young's case will return to the Fourth Circuit in Virginia.